It’s hard to imagine in this day and age that being pregnant and giving birth can result in life-threatening complications. 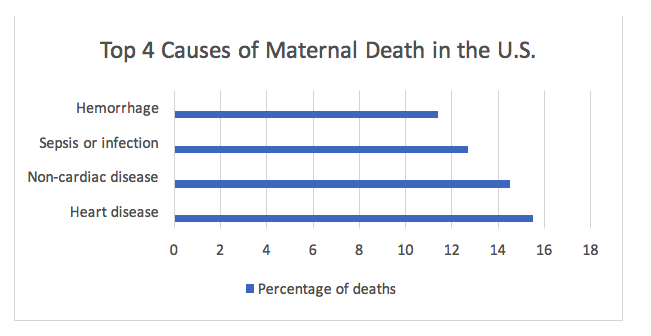 However, this is the reality for over 60,000 women in the United States each year.1 While most women recover to their previous level of functioning, about 2,000 women die and some are left with lasting and life-changing issues.2 Not all complications related to pregnancy and childbirth are preventable, but some, like sepsis, may be avoided with increased sepsis awareness and quick recognition and treatment of infections. The term “maternal sepsis” covers sepsis that occurs as the result of pregnancy, delivery, or infection during the post-partum period. But there are other terms that may be used as well, such as puerperal fever, puerperal sepsis, and post-partum sepsis. There are over 50 submissions about women who had maternal sepsis in the Faces of Sepsis collection of stories. Some were written by women who survived, while others were submitted by loved ones who were left behind. Having a baby can turn your whole world sideways, but by being aware of maternal sepsis, you can reduce your risk of adding to the stress by becoming ill. Previous Previous post: Brittany P.